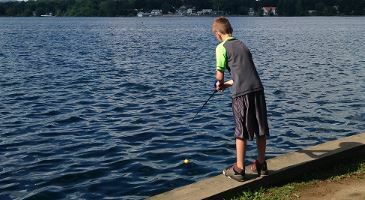 Fishing is a favorite pastime here at Lake Parssipany. The Trout Stocking Program in the spring provides for excellent year-round trout fishing opportunities. So what are you waiting for? With trout being stocked, fishing has never been better. Just a rememinder, a NJ State fishing license and trout stamp is required for anglers age 16 through 69 . Lake Members can join the Fishing Club.